Welcome to my planet of crochet. 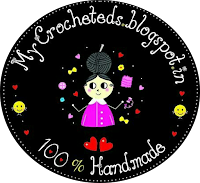 Mycrocheteds is full of my crochet works i did, i am doing and i will do. Why this name MYCROCHETEDS? I dono exactly why i choose this.. When i thought of doing this as a business i searched a unique name that no one shouldn't have.. 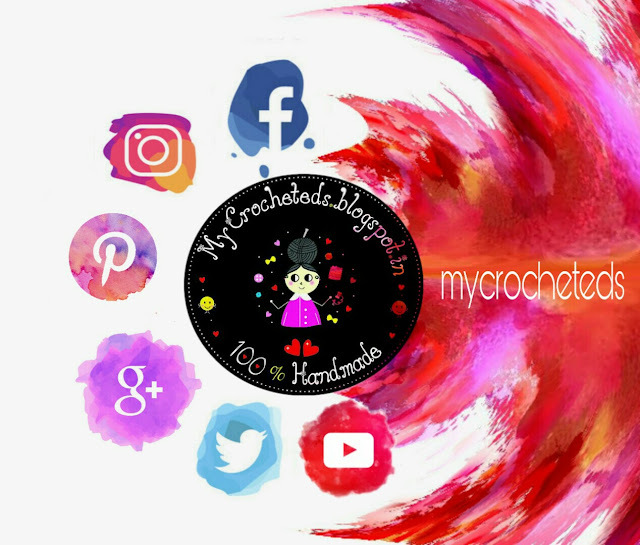 I researched lot on google and at last i found this exact name was not there in any social medias.. And thats the story of this name.. Now you can search for MYCROCHETEDS in blog, facebook, instagram, pinterest, twitter, youtube.. I'm a girl who always with a bun on my head.. 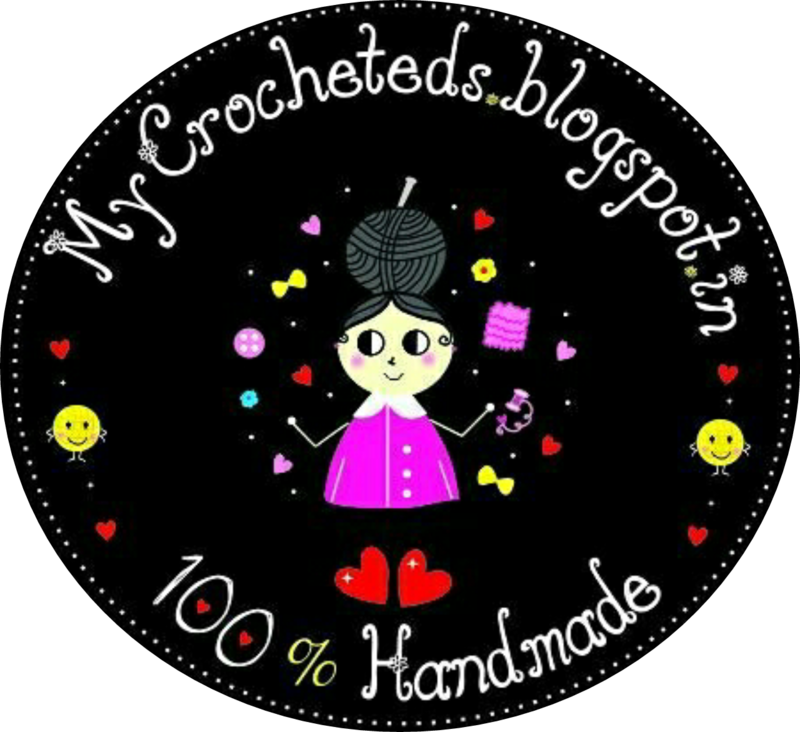 I wanted my logo to be like that.. Mycrocheteds logo, you can find a girl with bun and there's a crochet hook on top of it.. With an extra touch that my bun should look like a bundle of yarn.. 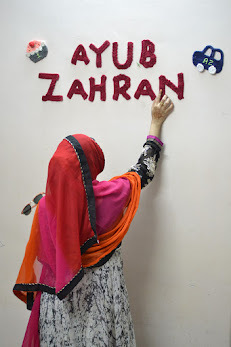 I exactly wanted like that and asked my logo creator Libby and she did it according to my imagination.. I am, basically a crochet addict.. I love to crochet.. I actually started my crocheting when i was 11 years old.. I never thought it would turn out to be my passion later.. I also tried knitting which is always being a scary part for me.. Without my family and friends' support i wouldn't have started this and come this far in my life.. Thanks to them! Kindly check in my works and share your valuable comments.